Paris of the Middle East. 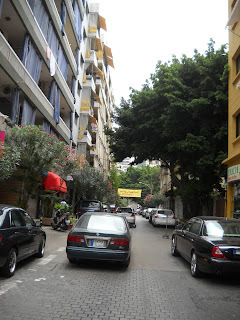 We arrived in the early afternoon and driving north from the airport to our hotel in Hamra, I saw stacks of apartment buildings, their balconies waving flags of laundry. Another cramped, dirty city with cranes and dump trucks, men on motorbikes weaving between cars. I didn't see anything that said Paris. That didn't bother me. 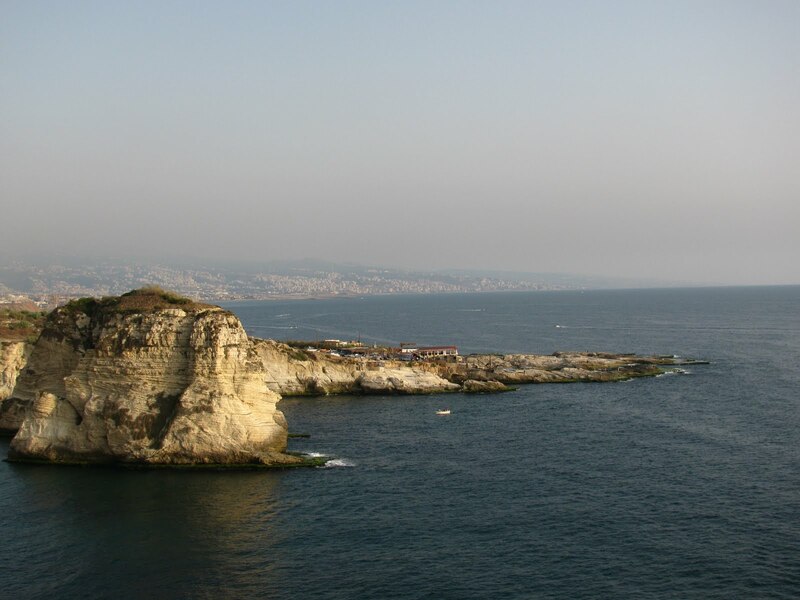 The name was given to Beirut long before her civil wars. 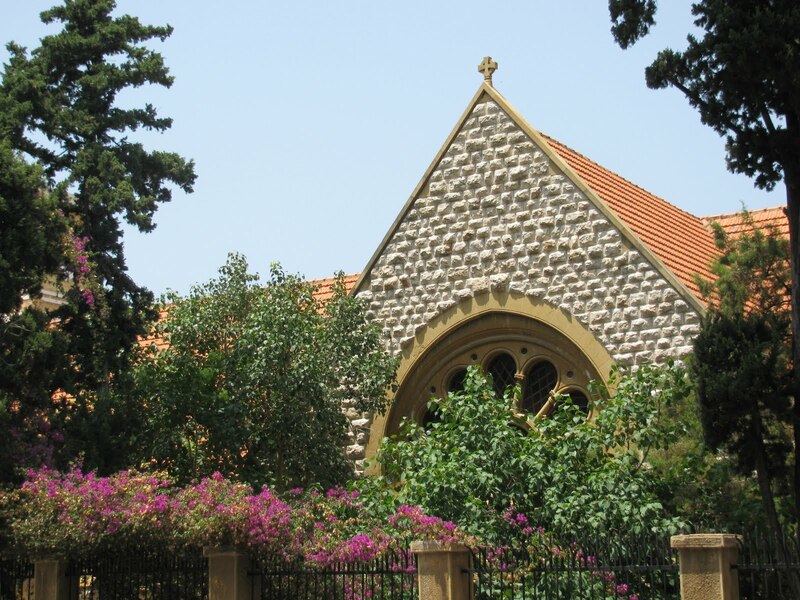 Still, I have yet to meet a Lebanese person who does not praise their country. And after just four days there, we will return for more. We loved the weather. Hot and a little humid, but not Kuwait Oven Hot. So we walked everywhere during our time in Beirut. One morning we walked down Bliss Street and visited the American University of Beirut. Beautiful campus, lots of green. 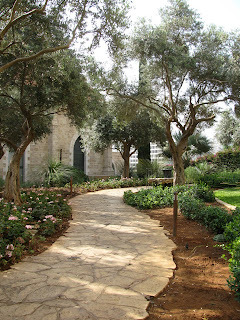 It was the green - all over the city - that we enjoyed most. We saw some of the same flowering trees we knew from Colombia, and stopped a couple of times to just inhale the smell of living, green things. 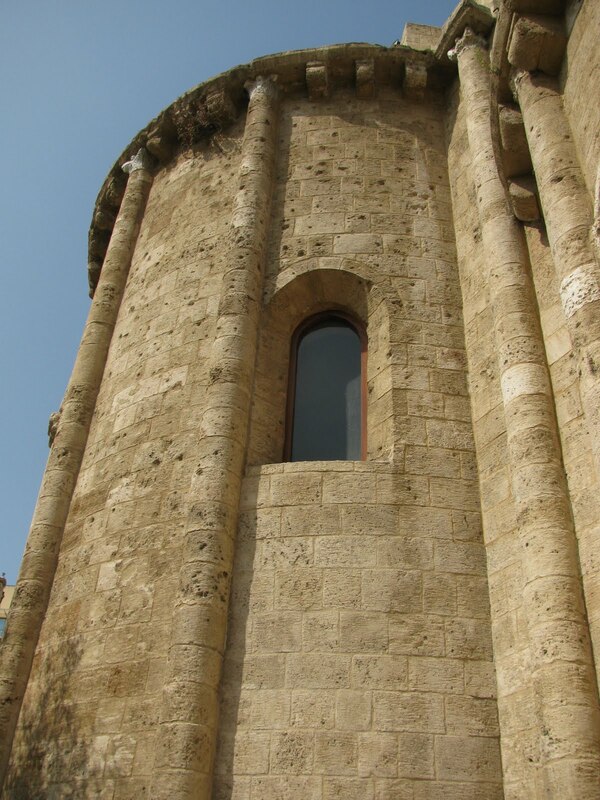 This is a church in the Downtown area, pockmarked with bullet holes. 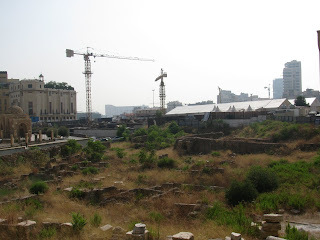 Roman ruins, also in the Downtown area. The Downtown pictures to follow show the success of at least part of this city's rebuilding process. 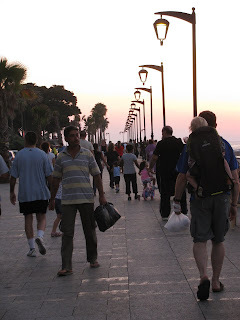 The area was gorgeous, expensive, and spoiled pedestrians with several streets closed to traffic. 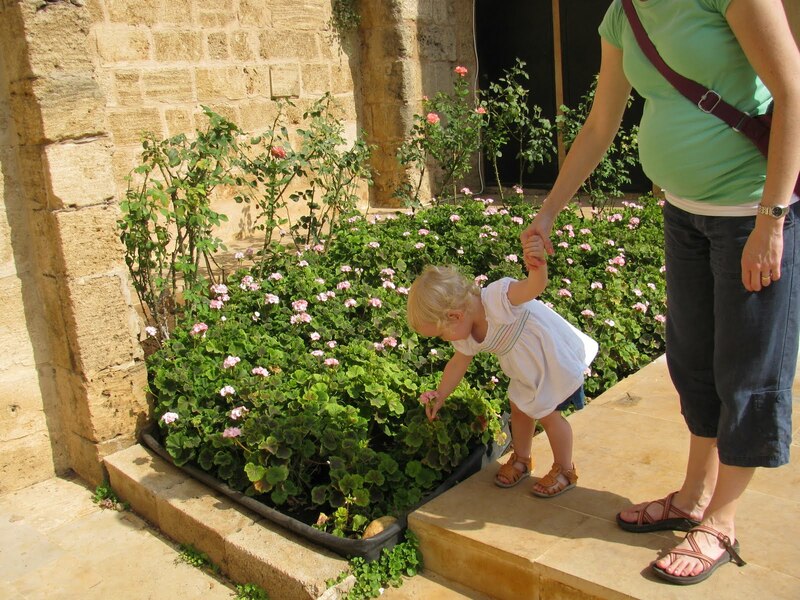 On our walks, Claire would say, "Give me flower" and Justin usually obliged, picking a flower from a tree overhead. Here she finds her own. (And check out my belly. My head is the less attraction, I guess). 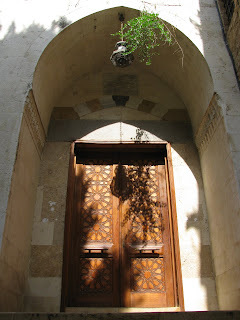 The entry to a mosque in the Downtown. 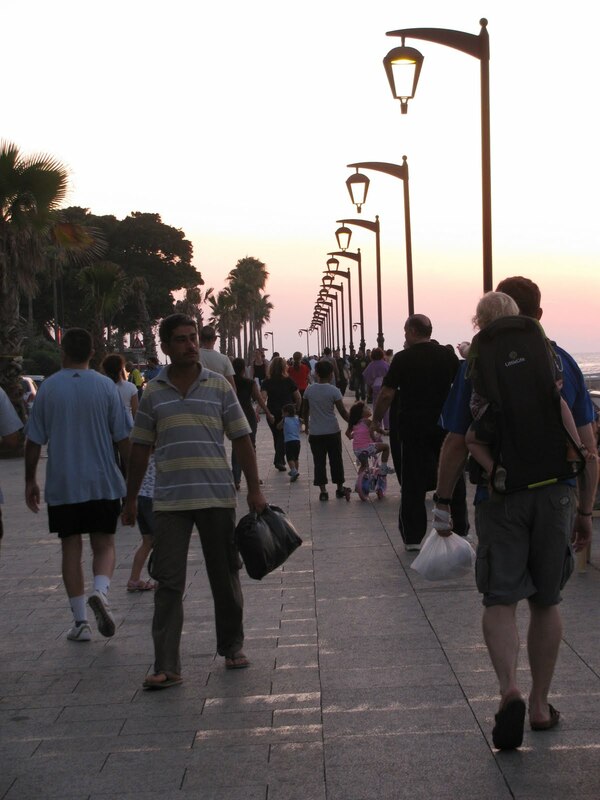 In the evenings, we went for a walk on the Corniche, along the Mediterranean Sea - a nice stretch of path to enjoy the cooler evening breeze. 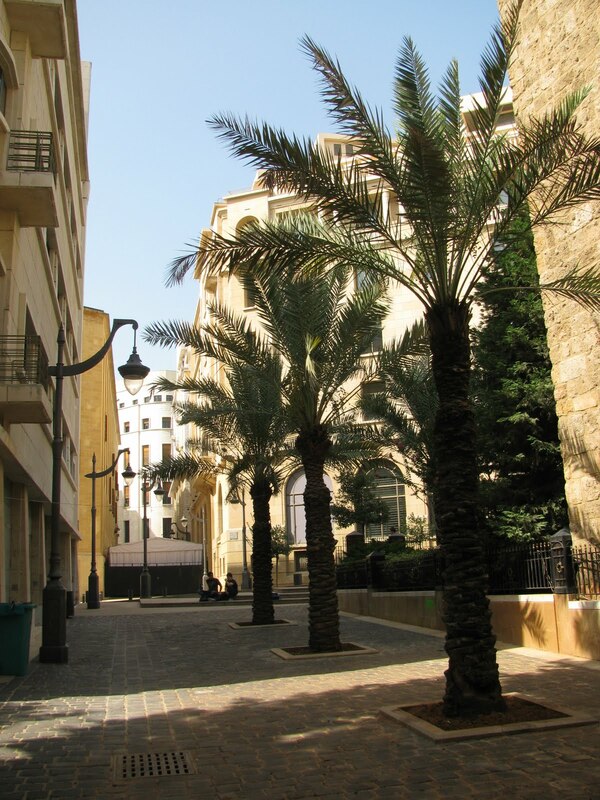 In Kuwait, there are enough Western expats that a blond haired kid isn't too much of a curiousity, but in Beirut, it was similar to being in Colombia or India. People stared, smiled, snapped their fingers in her face, wanted to touch her, kissed her, fawned, and pointed. She takes it in stride. When she feels like it, she smiles back and graces with a, "Hi-low." The Rouche Sea Rock. You can see Beirut stretching further along the coast. 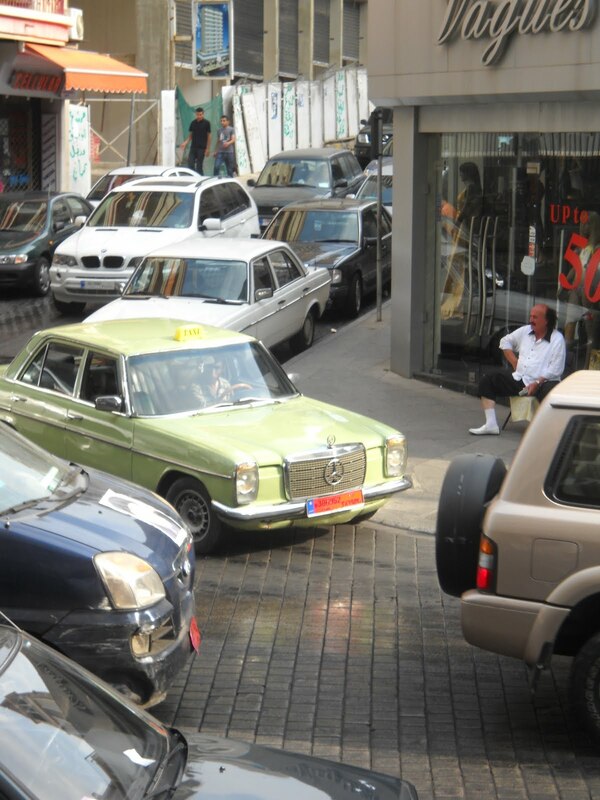 We do hope to return to Lebanon, the next time to drive around the country. 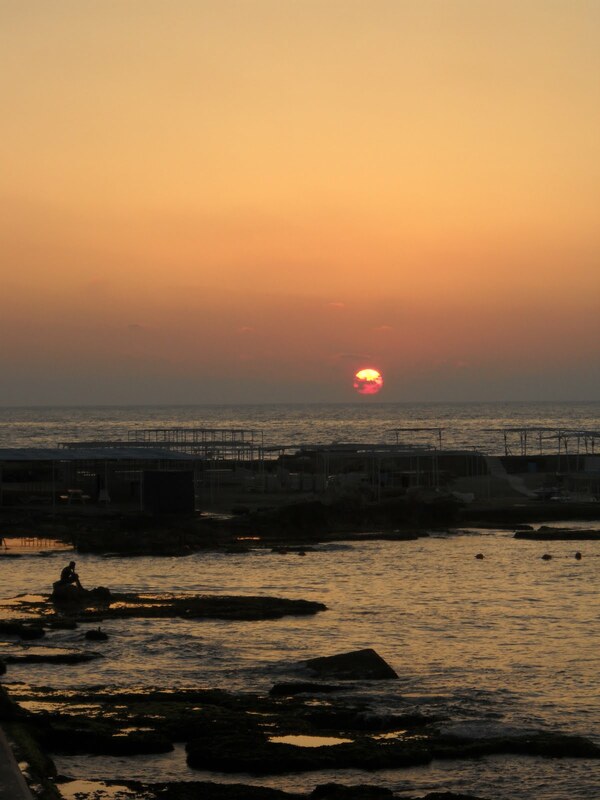 But this short trip was a gift in the middle of our hot summer. 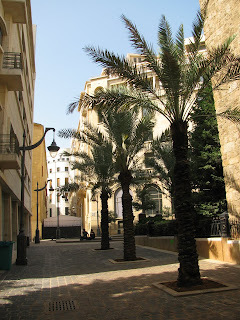 wow, i guess i knew nothing about beirut...no idea it was so beautiful. Claire is getting so tall too! 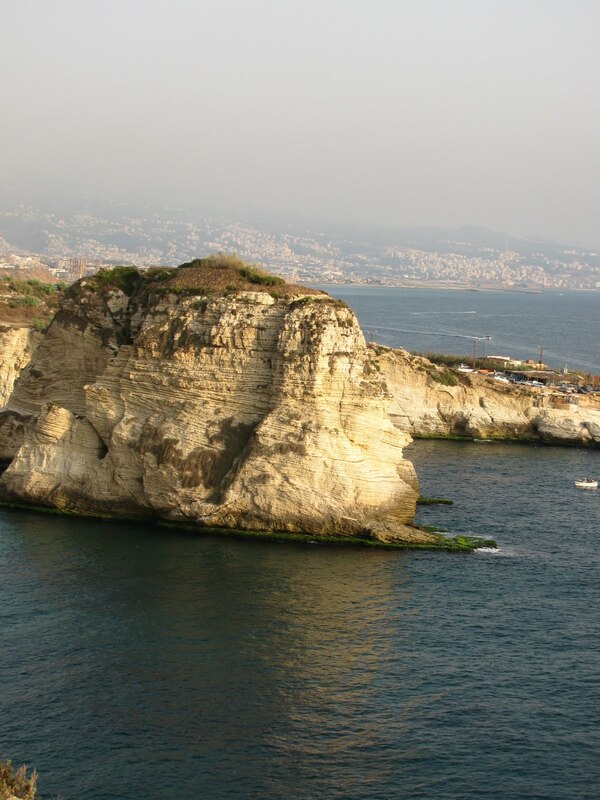 Well I am glad you guys had a good time in Beirut. Amazing! 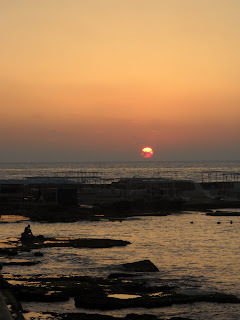 I had heard Beirut was supposed to be very nice but never someplace I'd imagined I'd want to go. Your pictures have changed my mind. For sure a good trip. Some regions outside of Beirut - and even parts of the city itself - you have to be cautious as a Westerner. 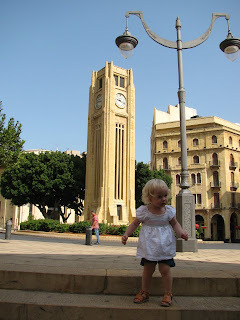 And in my blog, I meant to say that Beirut didn't remind me of anything "Paris" until we went to the Downtown area. Lots of outdoor cafes and little shops there, beautiful architecture.